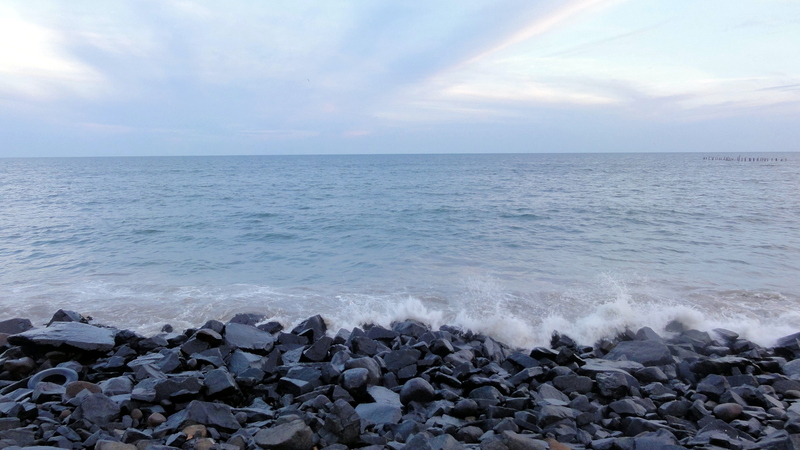 The union territory of Pondicherry located in South India is one of my favorite destinations for a holiday or a quick getaway. 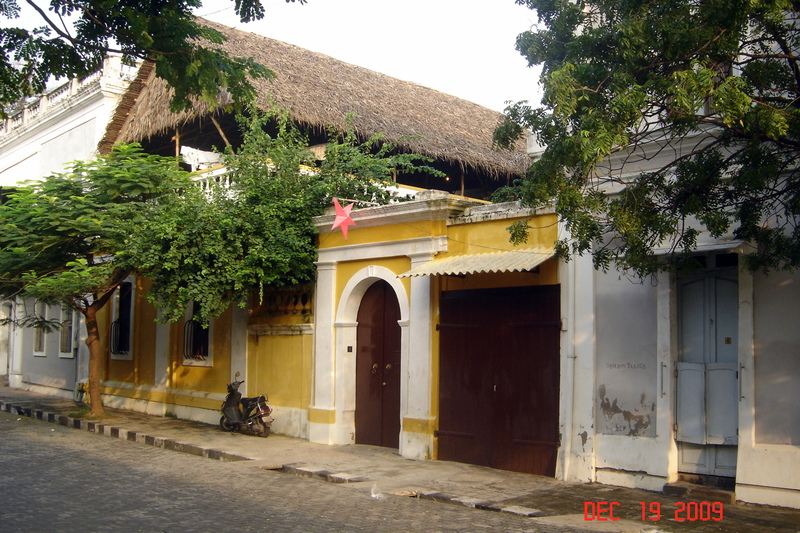 Also called Puducherry or just Pondy, this unique town was a French colonial settlement till as recent as 1954. Hence, the “French connection” is unmistakable and distinct here. With the new part of the town being characteristically South Indian, the town offers an eclectic mix of cultures and traditions. 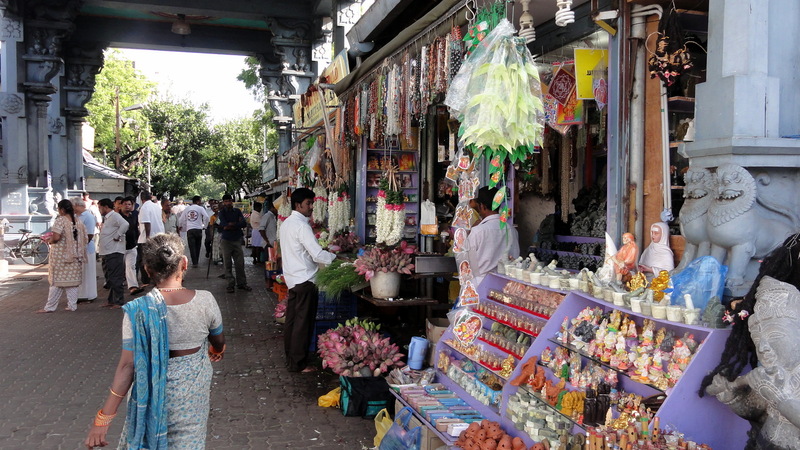 It is common to see people speaking in French in the older part of town and the names of the streets here in all three languages: French, English and Tamil. It is home to the famous Sri Aurobindo Ashram and the town has a characteristic spiritual vibe that is in a sense all pervading. 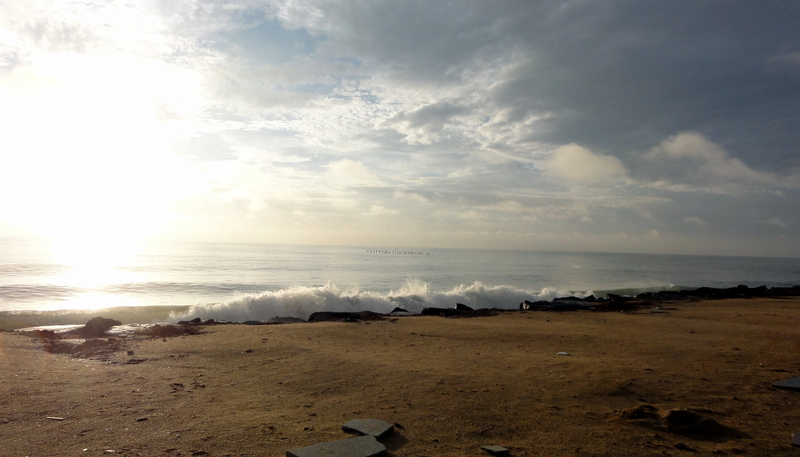 For the itinerant, Pondicherry is a haven with numerous attractive tourist hot spots. For me, however, the quaint charm of the place is what draws me to the town again and again. The rendezvous of the old with the contemporary that seem to blend in parts and co-exist in others presents a characteristic contrast in the city like none other. Though I have been here multiple times, here are a few of my favorite haunts I never tire of visiting. 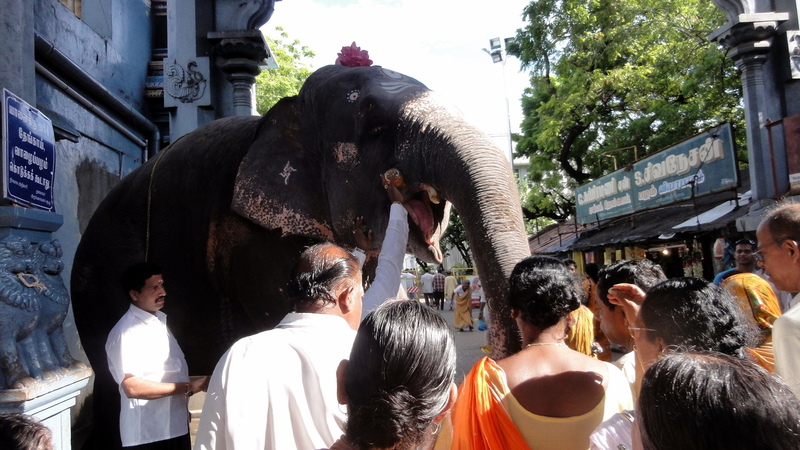 Manakula Vinayagar Temple: This temple dedicated to the elephant God, Lord Ganesha is an extremely revered temple and attracts huge crowds. With reverberating positive energy, this ancient temple is believed to have been in existence since the 17th century. 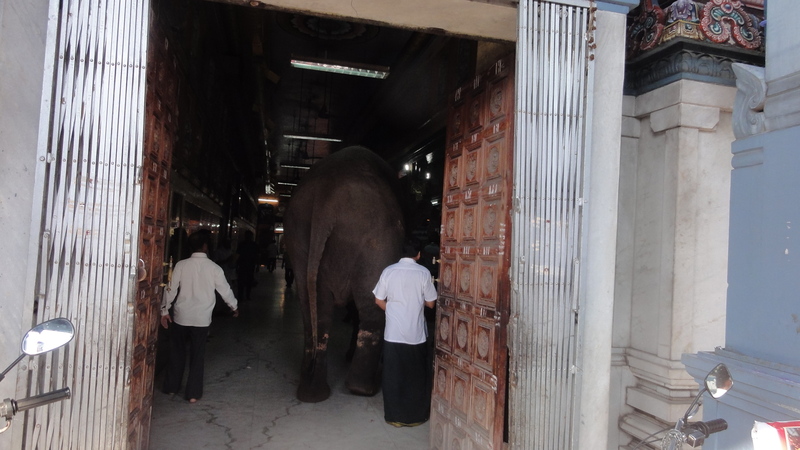 Apart from the main temple, I love the vibrant market place in the vicinity that is chock-o-bloc with activity and of course the popular temple elephant that is stationed outside the premises for sometime in the morning. 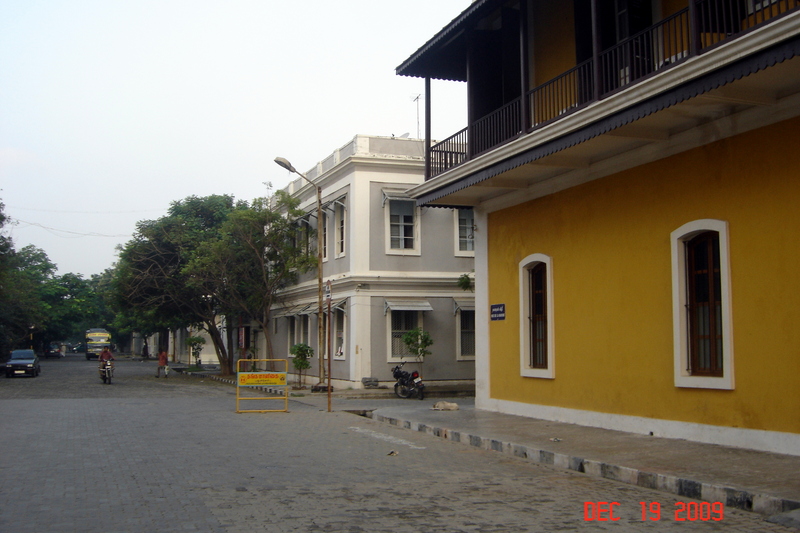 The promenade and seafront: Pondicherry boasts of the wonderful Goubert Avenue or Beach road which is a must see for anyone visiting the town. Closed for traffic during dusk, the lively road is a great option for a stroll or even to simply unwind gazing at the sea while the sun goes down. With dozens of restaurants, street food and shopping options, the avenue is as popular with the locals as with the visitors. Walking around the old town: Cobbled roads, heritage bungalows and colonial architecture greet you in abundance in the older part of the town. 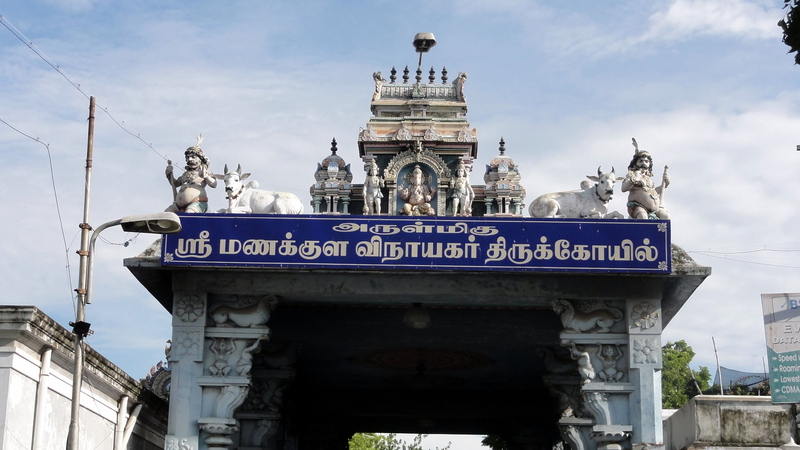 With the French influence is still intact, it is also the area where the soul of the city or Aurobindo ashram is located. Serene and peaceful, the hues of yellow, white and green of the surroundings only compliment the setting. 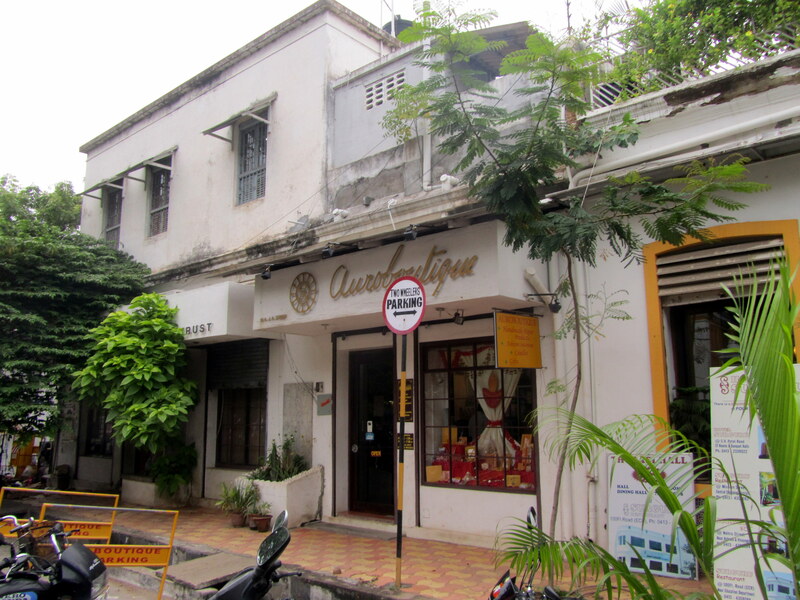 Shopping: Pondicherry is one of the best places to pick up exclusive hand made paper, incense sticks, candles, essential oils, pot pourri, organic clothing, jewellery and the like. 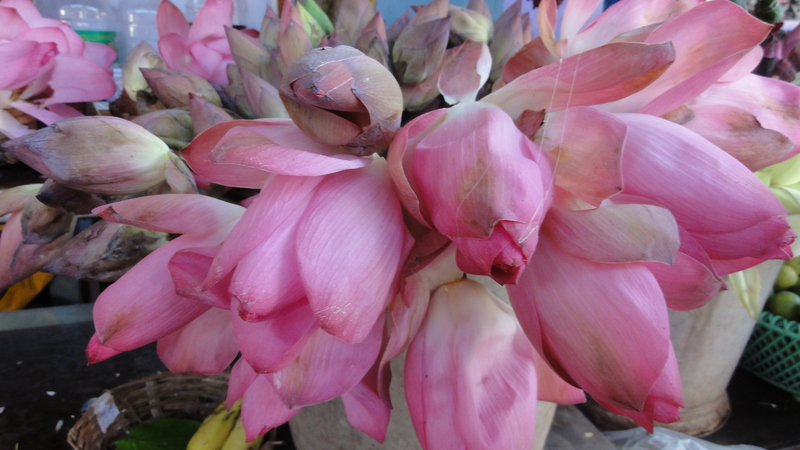 Most products are meticulously hand crafted by the locals and the stores affiliated to the Ashram. Reasonably priced, the products have impeccable finishing and quality and make for some simply great souvenirs. The Ashram paper factory, Auroboutique and Splendour are some of my favourite outlets. 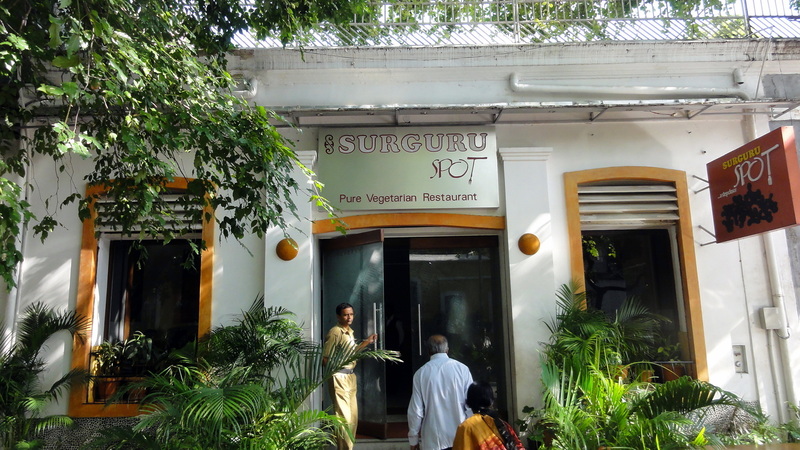 Eating at Surguru spot: In the centre of the old town, is Surguru spot that offers an amazing spread of simple vegetarian food. Conveniently located and with great taste, this is yet again one of those places that I never tire visiting. If you are a first time visitor to this lovely coastal town you can obtain more information on this site or by reading my article here. I have to admit, we didn’t explore as much and next time I plan to use your blog as a guide for sure!! Also beautiful pics of the sea…. Had been there almost two decades ago just for a day. But its so beautiful. Need to go again to see all! You have captured the essence of the city pretty well. Absolutely; Auroville is again a lovely place. When did u visit ? My last visit was in November 2015. Ok! Keep the posts coming ! 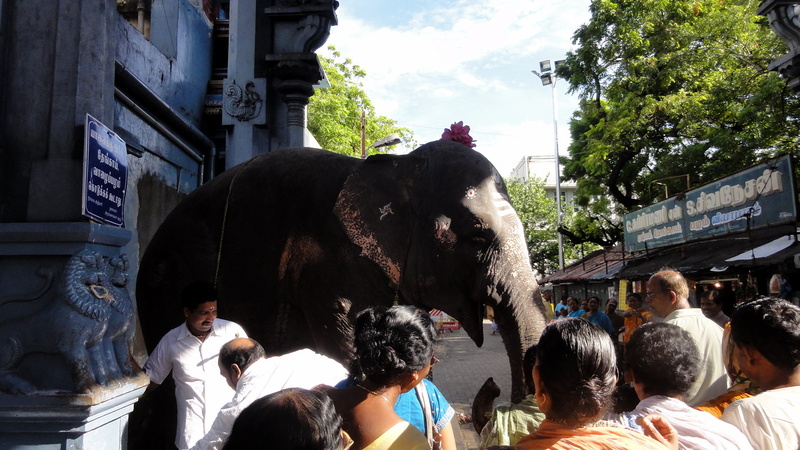 I had a great day trip in Pondicherry when I went to Chennai a couple of years back. Really love the French Quarters and the park with the arch! Thanks Coral for taking the time out to read! The beauty of the place is non comparable.. Thanks for sharing a good Post, Rashmi.. Well written with relevant Photographs! Very beautiful and thanks so much too share this blog. 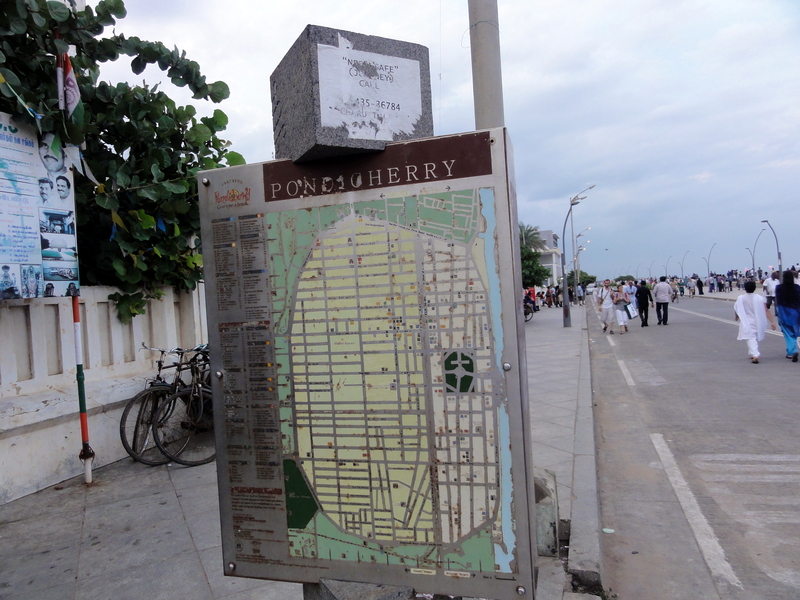 Pondicherry is one of wonderful pls in South India. Sounds like a lovely destination. The range of vegetarian food in India is an absolutely delight. Such a peaceful place, streets and lanes are so clean. Yes Arvind; it is a nice charming town! Old town looks just lovely!!! 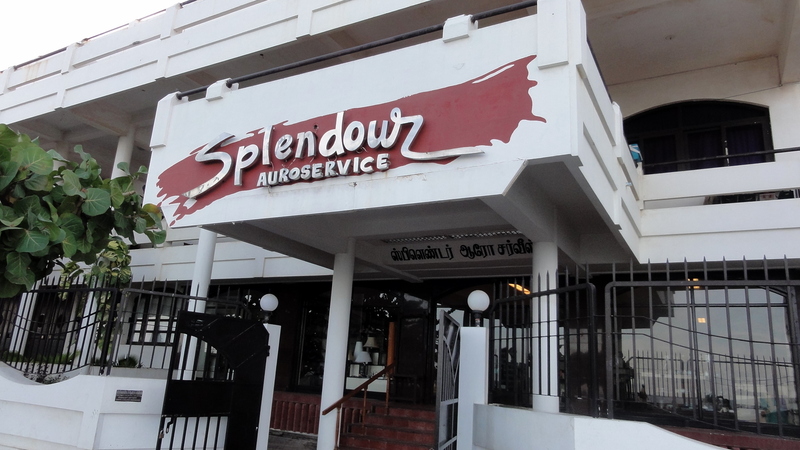 I was revisiting piquant Pondy with the unmistakable French flavour, the waves lashing on to the well laid out rocks, the serene Ashram, the shopping galis and the lip smacking Surguru.. Thank you so much Sunitha! Thank you so much:) Appreciate you reading.